Summary: He’s your perfect date. You’re his next victim. Sometimes as a series goes on the books kind of lose the appeal they once held. The fourth book in the Erika Foster series, however, is just as great as the others! The thing that makes this one different from the previous books is that we learn the identity of the killer quite early on, but this makes it no less thrilling. 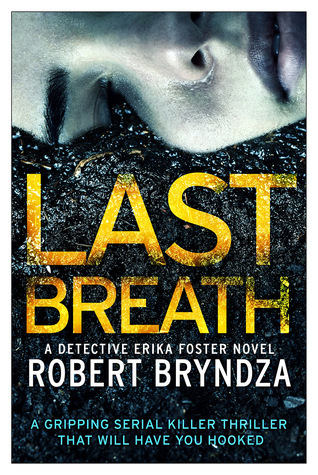 The plot moves at a steady pace and Bryndza creates a high stakes atmosphere full of tension, fear, and mystery. The development of Erika's character was well done, she's growing as the series progresses and I enjoyed seeing her try and move forward from her past. Her relationship with Peterson is a slow burn and it was well handled too, in my opinion. Overall, a great read! Summary: After a lifetime of training, seventeen-year-old Princess Nile Greysik, a lieutenant on the prestigious Ashing navy flagship, sails into battle with one vital mission—and fails. I fell in love with Lidell's debut novel The Cadet of Tildor when it was released in 2014. It quickly became one of my favourite books of the year, so it really sucked to find out that due to a lack of sales there was not going to be a sequel. It's a book that stayed with me long after finishing it, one that I still find myself thinking about today. I'm not going to lie, I follow Lidell on Twitter and having been waiting to hear news of a sequel. That hasn't happened, however, when I saw that she was working on something new I was really excited. 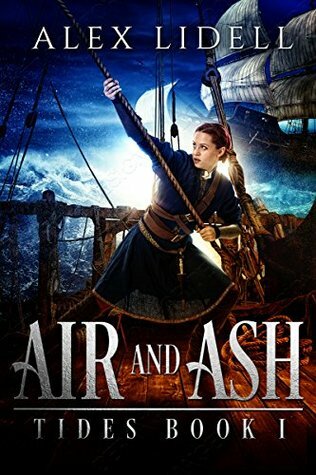 Air and Ash was a decent read, but not quite as amazing as I'd hope it would be. I liked Nile's dedication to her kingdom and her love for her sibling. I did, however, find her thoughts towards a girl who befriends her on board the ship she is travelling on frustrating. She's a different kind of woman to Nile, but I saw them both as strong in their own way. Nile, however, was a bit close minded in the way that she saw her, in my opinion. The romance was a hate-to-respect-to something-more type situation which I always enjoy. All in all, if I'm being honest I doubt I will be reading the sequel. I didn't quite love it enough to want to continue with the story. I'm shaming myself. I'm just currently reading The Night Stalker. Also, finding out about Erika and Peterson just excites me! aahh, now I'll be too eager to grab the next book once I'm done with The Night Stalker! I haven't heard of either of these but thanks for putting them on my radar! Wonderful reviews, Renu!